LIKE NEW!! JT Raider Paintball gun barely used. 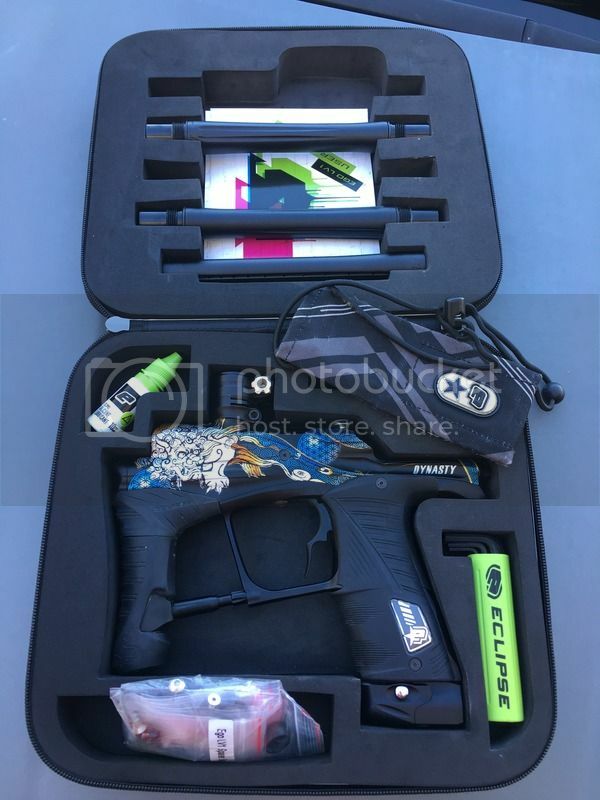 Comes with mask, co2 tank, and 1000 blue paintballs. STEAL! !PAINTBALLS ARE EXPENSIVE! Pistol for sale, comes with case, 3 (7 round mags), holster, c02 cartridges, pistol alone was $250... Look it up if your not sure. Dynasty LV1, great condition! Comes with everything as it did new including box PLUS- Violent Trigger, 16&quot; Shaft Pro Tip, .685 and .689 backs. Case signed by Dynasty at NXL Vegas 2016. Asking $800 gifted and shipped or add fees OBO! Offer!